On my first ever trip to Korea (which now feels like ages ago), there were two places that I knew I had to go – Namsan Seoul Tower (남산서울타워) and Gyeongbok palace. Since that momentous first trip, I’ve returned to Namsan several times and it still brings me fond memories when I see it in K-dramas and K-variety shows. If you’re coming via subway, then Exit 4 of Myeongdong station will put you on the right track – head down Toegye-ro (퇴계로) which is quite a major road until you come to the main Hoehyeon intersection where it meets Sogong-ro (소공로). The key landmark here is the Shinsegae department store on your right and you’ll want to turn left onto Sogong-ro in the direction of the Namsan Tunnel 3. Keep on going on Sogung-ro until you see the Namsan Oreumi elevator ahead of you. This is roughly a 15 minute stroll for me from Myeongdong. You’ll know that you’ve reached your destination if you see this monument with an eagle! 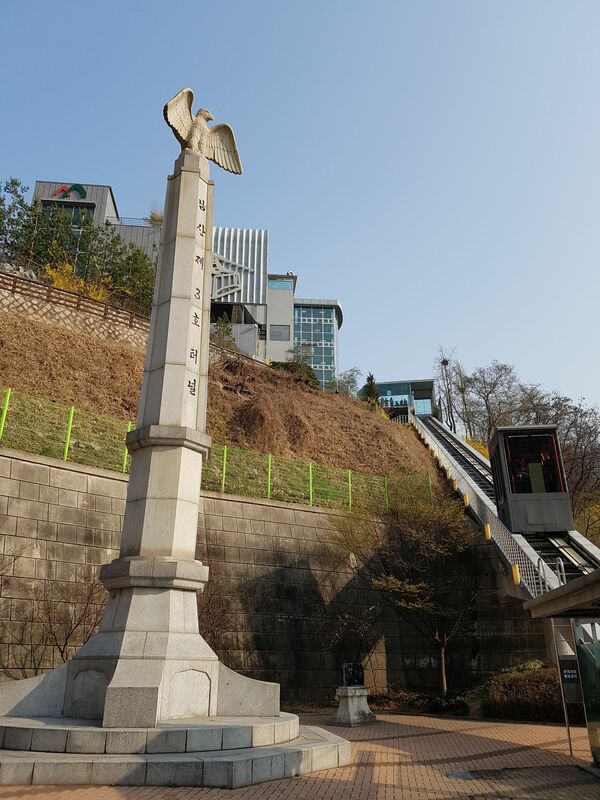 The outdoor elevator (which you can see on the right hand side of the picture above, and is free) takes you to the Namsan Cable Car station. At the cable car station, I purchase a one-way cable car ride to the peak – about KRW 7,000 if I remember correctly. 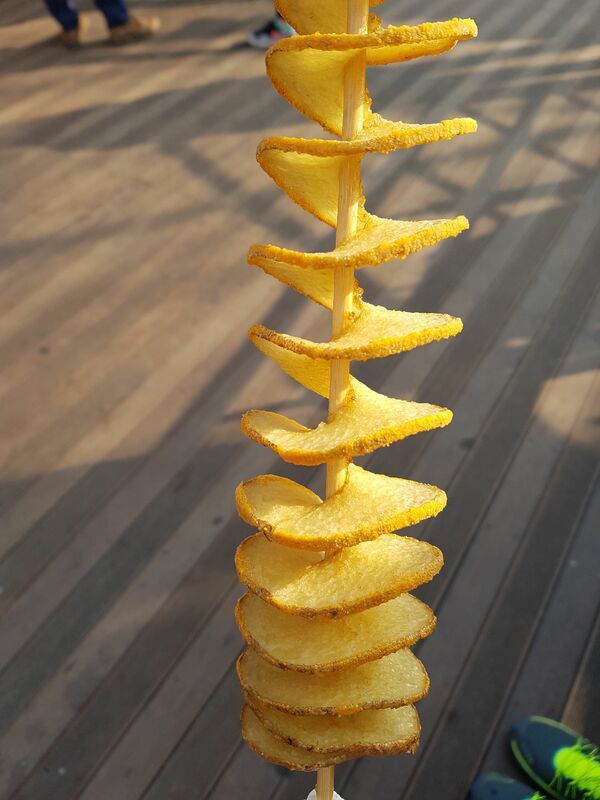 When I arrive at the peak, the first stop is for snacks – the tornado or twisty potato stick (I like the cheese flavoured powder) is always fun to eat while wandering around near the Paljakjung pavilion and viewing the love locks. 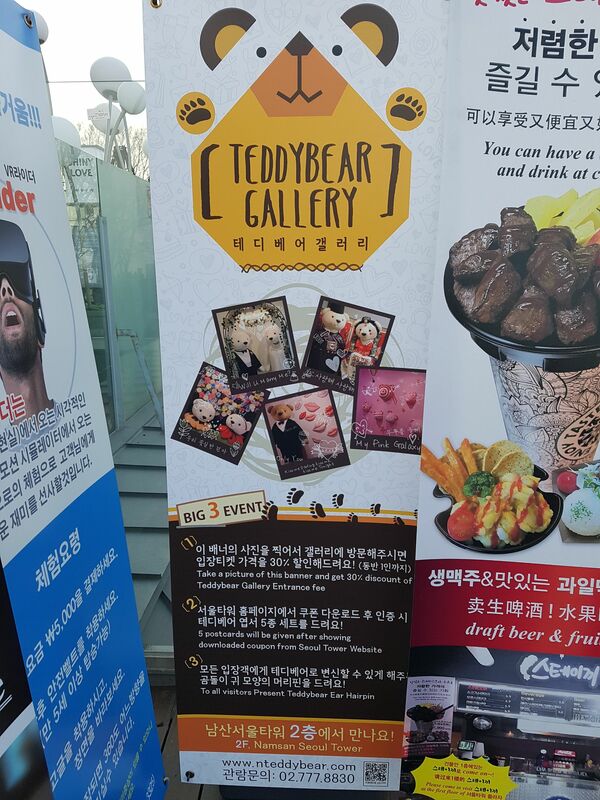 After that, it’s a toss up between going up the N Seoul Tower observatory or the Teddy Bear gallery. Apparently there is now an OLED experience gallery at N Seoul Tower, but I have not gone there yet. Now if you were following my narrative above, you’d have noticed that I didn’t opt for a return ticket on the cable car. That’s because I prefer to head back down to Myeongdong by bus (shuttle bus 03 and 05 take you back to the entrance of Myeongdong, use your T-money card). You could also hike down if you have plenty of time and energy to spare – it’s actually quite a pretty walk. 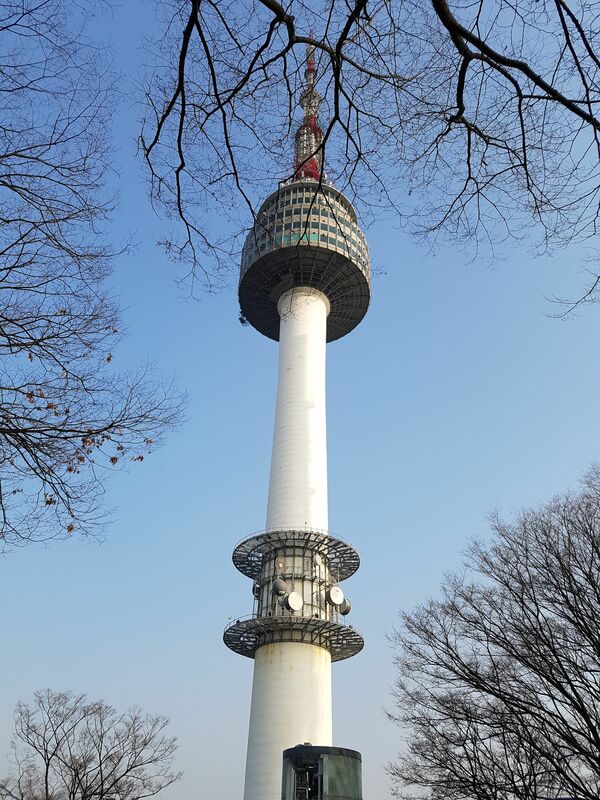 A round trip up to Namsan and back down to Myeongdong takes anywhere between 90 – 150 minutes, depending on my mood of the day and how rushed I am for time. Which do you prefer – day or night? 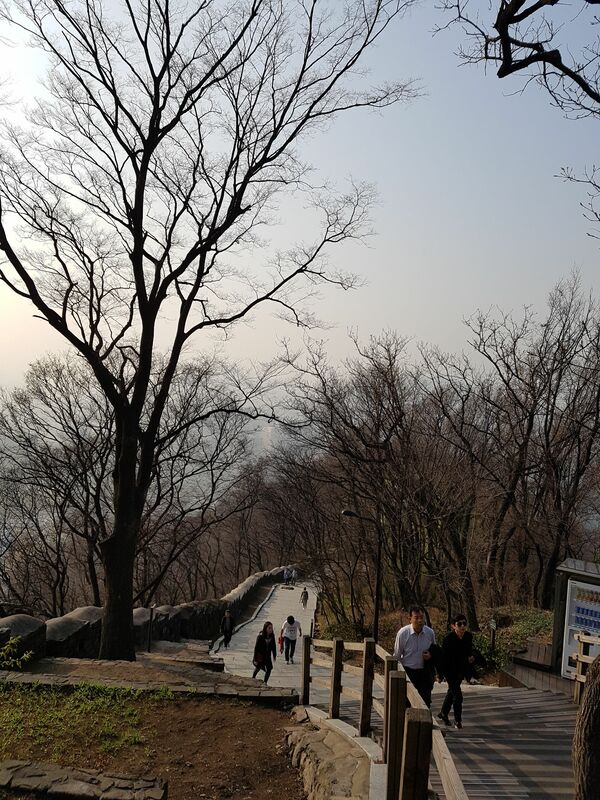 I absolutely prefer to visit Namsan in the daytime. Simply because you can see and do much more than you would in the night. The only reason to visit at night would be to view the night lights from the N Seoul Tower Observatory because nothing else can be seen. If you like observatories, I suggest you skip N Seoul Tower’s observatory and go for the Seoul Sky Observatory in Lotte World Tower instead. It’s newer (and more expensive! ), taller (world’s 3rd highest as of the date of this post) and has more fun stuff like an outdoor viewing deck and glass panel floors.